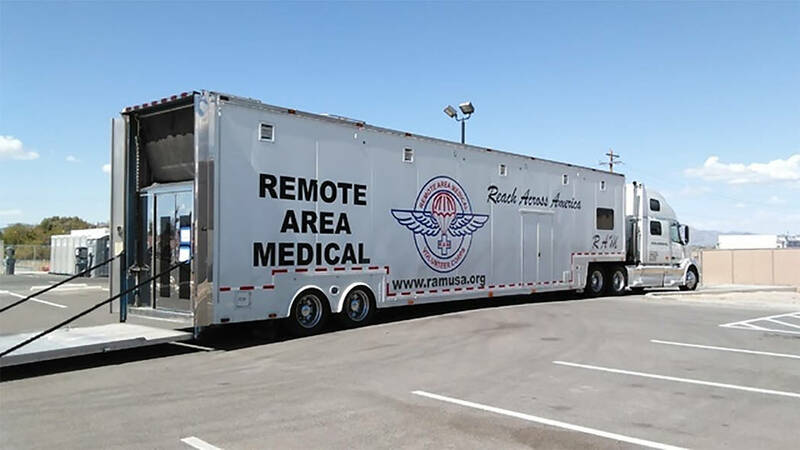 Local residents in need of quality medical care performed by teams of doctors and physicians arrives back in Pahrump this week. Selwyn Harris/Pahrump Valley Times Free services including medical, dental and vision return to NyE Communities Coalition as officials with Remote Area Medical will arrive in Pahrump on Friday. The free three-day event is open to any families and individuals in need of the services. Ticket distribution gets underway at 3 a.m. on Friday. Doors open at 6 a.m. The coalition is located at 1020 E. Wilson Road. Remote Area Medical (RAM) is a nonprofit medical care organization providing free vision, dental, and general medical services to people in communities throughout the U.S. and overseas. The event is scheduled from Friday, Oct. 6, to Sunday, Oct. 8, at the NyE Communities Coalition campus at 1020 E. Wilson Road. Desert View Hospital OR Manager Rebekah Murphy said the event is open to anyone who needs the services, as several local medical professionals are volunteering their respective time to perform the services. Desert View ER Manager Casi Lamp said several community health care providers have signed on to provide services. Lamp also said many of the services are performed onsite. Additionally, officials also advise that those in need of the services should bring along a list of all prescribed medications. Murphy, meanwhile, noted the need for dental professionals for the event. Murphy also said all of the medical professionals involved actually volunteered their time for the event.